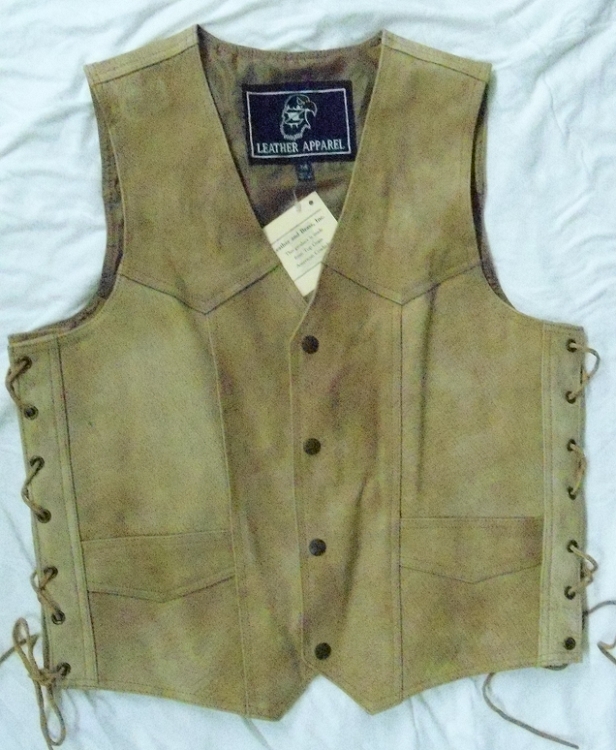 Distressed light brown cowhide men's vest. Side laced vest with two outside pockets and one inside pocket. *This is a closeout item and there may be some slight imperfections.